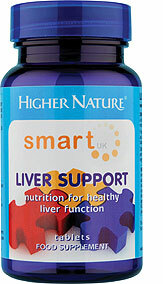 Care for your liver with Smart UK Liver Support. 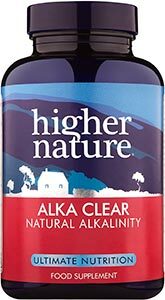 Formulated in conjunction with the charity SMART UK, this nutrient-rich formula has been specially created for those who regularly drink, smoke and take recreational drugs. 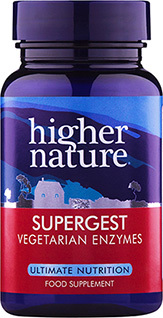 It features a healthy dose of essential amino acids, vitamins and minerals to support an over-worked liver, with added choline for normal liver function. Ideally taken twice a day, these powerful tablets may also help you enjoy a peaceful night’s sleep. 500mg Choline, 300mg N-Acetyl Cysteine, 250mg Methionine, 200mg Taurine, 100mg Alpha Lipoic acid, 100mg Glutamine, 100mg Vitamin C, 70mg Vitamin E (104iu), 50mg Pantothenic acid, 40mg Vitamin B1, 40mg Vitamin B2, 40mg Vitamin B3, 40mg Vitamin B6, 20mg Zinc, 20mg Inositol, 400µg Folic acid, 50µg Vitamin B12. Adults take 2 tablets a day, with or between meals. Not available in Ireland. Long term intakes of this amount of vitamin B6 may lead to mild tingling and numbness. 100% believe in this 'little tablet'! I am allergic to aspirin and paracetamol, but have a damaged spine that cannot be 'repaired'. It means I often need stronger painkillers (the ONLY ones I can use). Because the liver takes all the rubbish! from any drugs used, I like to give it a chance by taking the Smart Liver Support. It really has helped, I am certain of it. So I can still keep fit doing my cycling, walking, gym and especially skiing!!! 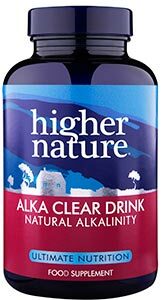 Thanks Higher Nature!